This includes everything from regular veterinary checkups to the right type of feed (including supplements where necessary) and making sure your horse is getting plenty of exercise and turnout. Plus, you’ll need to pay attention to their grooming needs and keep their coat, skin, hoof and mane in optimal condition. And that’s before we even get started on their living quarters – it’s essential that you keep stables clean and hygienic, and make sure any equestrian arenas you’re using are well-constructed and well-maintained to avoid injury or lameness. 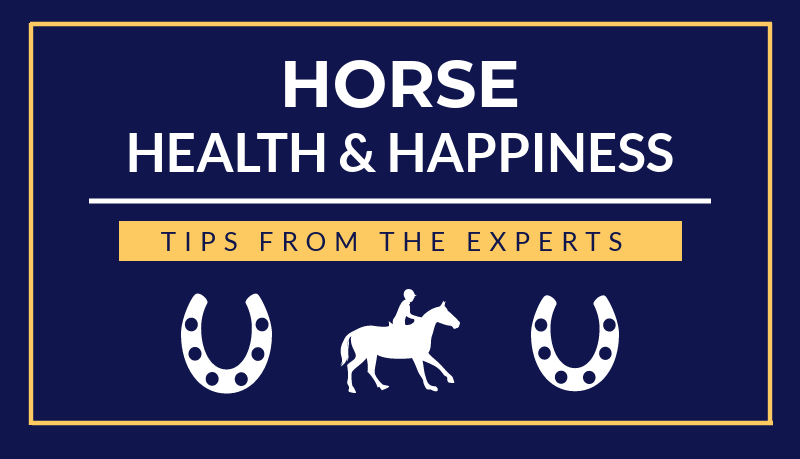 What’s your top tip for horse health and happiness? When it comes to health and happiness, I believe they go hand in hand. It’s important to make sure your horse is being fed proper nutrition for their age and work schedule. Daily or weekly exercise is a must to keep them fit and entertained. From there, it’s just maintenance - proper grooming, annual vet visits, staying on top of farrier visits, and other services. Providing a balanced life for any horse or pony is important from a nutritional, physical and mental aspect. A mixture of work and downtime is vital with all horses needing time to be actually just a horse. Let them have breaks, let them eat grass and let them play and bond with other horses, no matter what work they are intended for. In return, you will have a contented horse making you a very content owner! I feel riders must take responsibility for their role as team leader when with their horse. 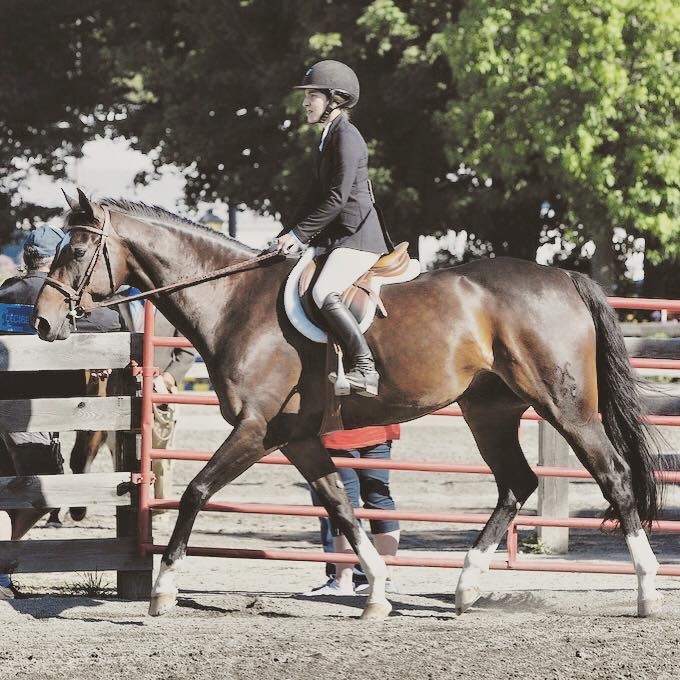 Riding is a team sport, horse and rider, and an important element of this is paying attention to both horse and rider fitness and development. I also think having an actual plan for each ride will help keep things fresh and moving forward, rather than riding an endless circle every time they get into the arena. 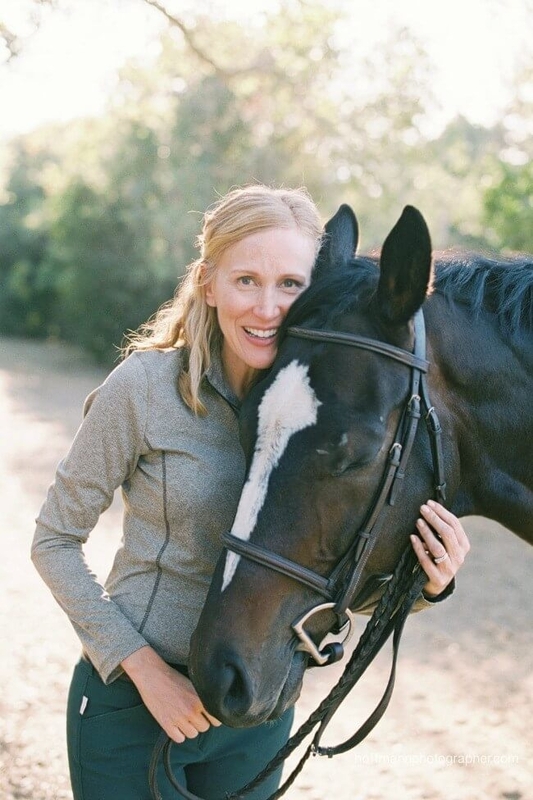 The goal is to consistently refine the relationship and conversation between horse and rider, while ensuring both are truly enjoying the process. It should be fun for everyone involved! Keep up to date with research and read as much as you can as you'll never stop learning. Listen to your horse; if he's biting or kicking, bolting or grumpy, chances are he or she is trying to tell you that there is something wrong; don't immediately label the horse as naughty. 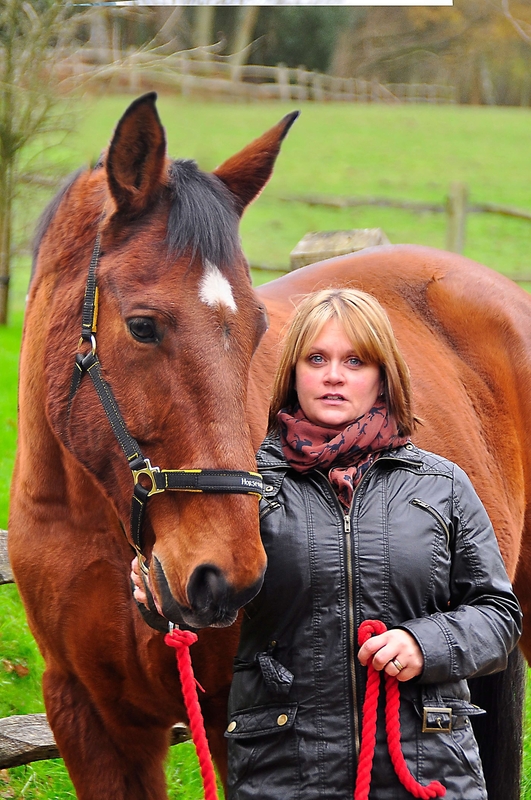 Spend time with your horse, learn to understand him or her. Try join up and other natural horsemanship techniques to keep the horse's association with you a positive one. Understand horses are trickle feeders and eat 'little and often'. 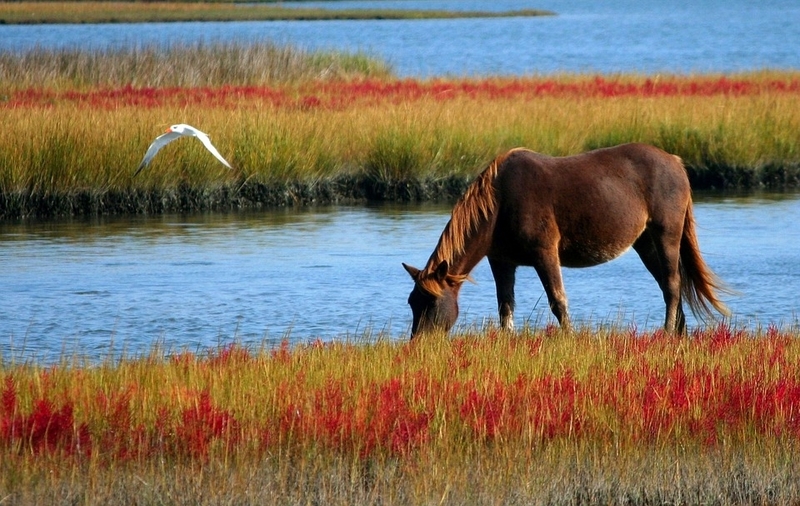 Avoid leaving your horse for long periods of time without forage, or in a field with no grass. By doing this you will reduce the risk of stomach ulcers and other associated problems. 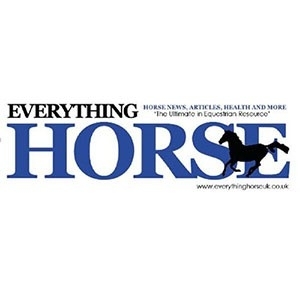 Make sure your horse has some hard standing space in the stable, especially when in for long periods, unless hard standing is advised against by your vet. This will encourage blood flow due to the compression of the frog as the horse moves around. In turn this will help with stiffness and fluid filled legs. Give your horse plenty of outdoor time, with fieldmates. Do not isolate, neglect or be ignorant to their needs. Regularly check tack and be consistent with farrier/dental/vaccination visits. Know the difference between the different types of practitioner so, should you need them, you'll know who to call on. 'Plenty of bulk/fibre feed and lots of turnout time' plus The 5 Freedoms. Feed: The digestive system is designed to contain fibre at all times. Unless training for and entering in top competitions on a weekly basis the average horse requires 80% fibre feed and 20% bucket feed. With a top up of bucket feed when required to do more work than usual. Turnout: The horse is by nature a herd animal. They should be turned out with other horses for as long as possible each day to enable them to 'be' a horse. 1. Freedom to drink when it wishes and to eat to enable it to sustain good health. 2. Freedom to move around with ease, in a comfortable environment, with shelter and with a place to rest quietly. 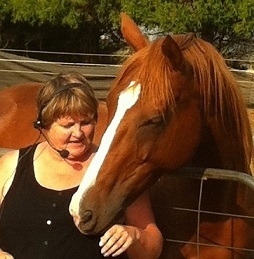 My top tip for keeping your horse healthy and happy is to make sure you spend quality time together out of the saddle. All work and no play makes for a crabby horse. My top tips for horse health and happiness: Always make sure your horse has fresh water and hay. Their systems are designed for constant foraging. Turn them out — it’s good for their brain. Do a nutritional test or take a quiz and find out what types of nutrients they might be missing and supplement those in their food. Just make sure they are getting what they should be getting every day and make sure you also spend time bonding with them and loving on them. Forget the one-size-fits-all approach, and focus on what works for you and your horse. Some thrive on daily exercise, and others need regular days off. Some are happy living in a stall, while others do best with 24/7 turnout. Always be willing to learn, keep an open mind and be flexible. There are endless opinions on optimal horse care, so don't worry about being "wrong", just do what's right for your horse, right now! Horse health and happiness is very important to me because it not only makes the horse feel better, but it also makes the rides SO much better as well. 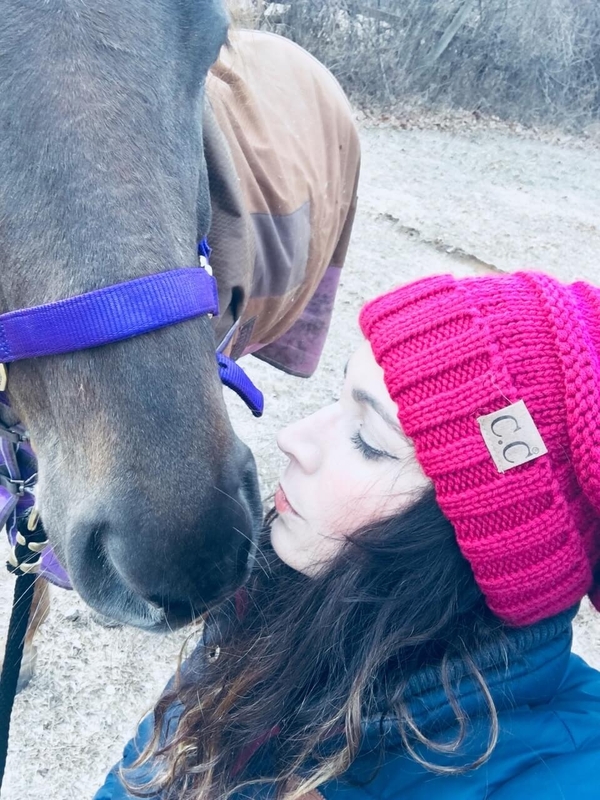 My #1 tip to making sure that your horse is happy is making sure that you both have a strong and trustworthy bond. I also suggest switching up your horse's exercise routine. For example, instead of riding your horse every day, you could switch it up and practice groundwork or liberty. Changing it up changes your horse's mindset in that you are not going to do the exact same exercise every time you visit your horse. Another tip that I have learned is having your horse on a schedule. A schedule for you might mean when you ride your horse, when the farrier or vet comes for a check-up, or when your horse is getting dewormed. Preparing ahead of time is important because it helps to prevent any future issues that might arise. Happy riding!! Well, I should start by saying that there isn't a concrete recipe for horse happiness and health as every horse is unique but there are some basics that you should consider: adequate food, regular vet checks, proper work, nice grooming, etc. - but we all know that, right?! 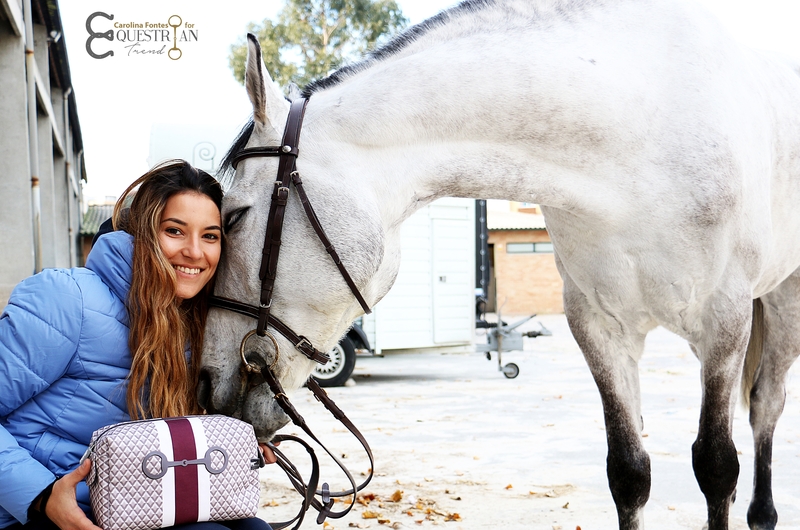 -Spa sessions: I enjoy feeling fresh and clean and so does my horse. Nice baths, mane and tail trimming, massages with a refreshing gel...Gali loves it. Play: I usually use a ball to do it and I honestly think he enjoys this time as much as I do! Days off: Sunday is Gali's day off, we hand walk him, he eats some of his favourite grass and gets his weekly dose of pampering! 1. The spring is coming, your horse’s fields are probably look awful. Make a plan to ensure your fields are producing healthy grass and hay this summer. This includes fieldwork, fertilising using Pavo FieldCare and reseeding with Pavo Grass seed which, is specially developed for Horse’s, not livestock. 2. Pregnant mares are in their last months of gestation. The last three months of gestation her unborn foal grows quickly. Now is the time to ensure you give your mare enough energy and quality protein to support the growth of the foal our Podo Lac is idea and reduces the risk of OCD. 3. Problems occur with thin horses at the end of winter. It is often the quality of roughage is too poor to support good body condition. Iin older horses the intake of roughage is often not high enough. Add Pavo DailyPlus (Lucerne) or Pavo SpeediBeet to your horse’s diet to support it with healthy and highly nutritional fibre. 4. Horses normally eat their hard feed quickly. 1 kilo of pellets or muesli will be consumed within 4 minutes. 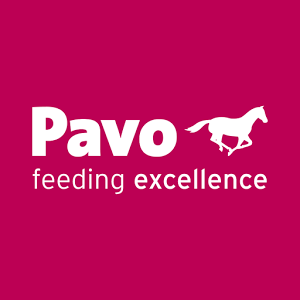 Slow eating down and stimulate saliva production by adding Pavo DailyPlus (Lucerne) giving at least 300 gram healthy fibres to your horses diet. ​Horse health and happiness can be tricky to gauge as some of them (like my off-track Thoroughbred Knight) can be rather stoic. Obviously, make sure your horse gets appropriate exercise, turnout, feed and grooming. Also, don't ignore subtle changes in behaviour and mood. A few years ago my horse ​was unusually sleepy and had a couple intermittent bouts with very mild colic. It turned out that he had severe ulcers. His symptoms did not present in the classic sense. Thankfully we caught it and have been able to treat him appropriately. Now I know this is something I have to be vigilant about and am more in tune with his overall demeanour. You already know how crappy your own body feels when you are nervous. That tightness, that tension – the way your joints feel kind of tight and jarring, the way your feet hit the ground harder, the gritting of your teeth or grinding of your jaw. And if you haven’t noticed this already, then just decide that you want to notice how your body feels next time you feel nervous. Well, the same kind of body changes happen to our horses when they are nervous. And these body changes cause damage. 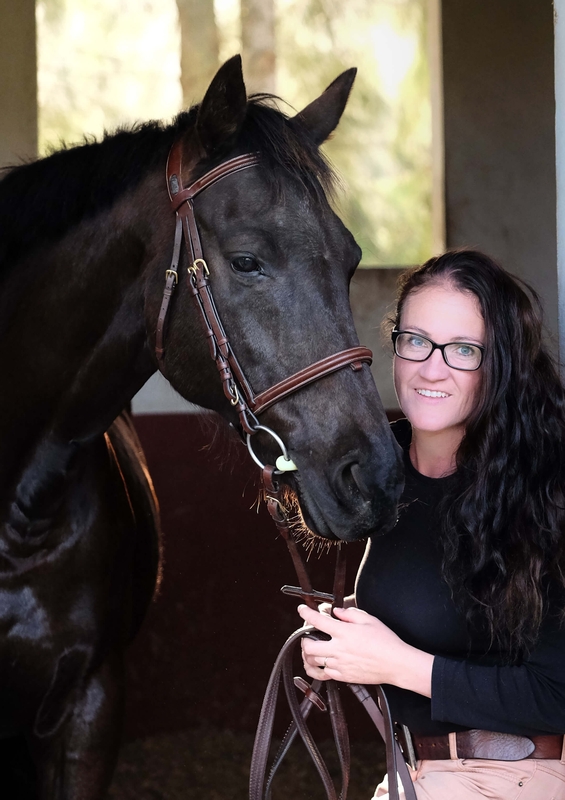 We are talking about serious stuff here – the kind of damage that threatens your horse’s career and even their life eventually and in the mean time can cost you thousands of dollars in vet bills. When our horse is out of his comfort zone (i.e. nervous – even a little bit) he lifts his head in the air and hollows his back to varying degrees. This hollowness translates into whopping impact on the front legs, eventually causing serious and career threatening injuries. The sagging of his back under our weight in these circumstances, eventually makes spinal bones themselves come out of alignment. The hind legs don’t work underneath them as well as they should and the pelvis, specially the sacro-iliac joint where the pelvis meets the spine can be permanently compromised. The good news is that it’s all reversible and the answer is very simple. 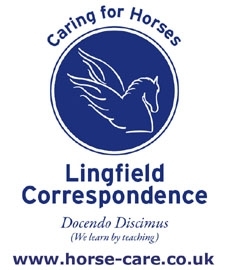 You can have your horse starting to work in self carriage, with his back starting to curve in the right direction – on its way to becoming beautifully strong to carry you – in just days when you systematically help them to be in their Comfort Zone - when you help them to feel safe, be calm and confident. And the wonderful thing is that when you learn how to ride your horse without having them nervous, you get to enjoy your horse more too.